Do you find it difficult to imagine or picture something in your mind? Do you hate it when someone says “Picture what you want and see it in detail”, because you have difficulty ‘seeing’ images in your minds eye? This 25 minute audio recording will give you 5 techniques and examples for increasing your ability to visualize in your mind. 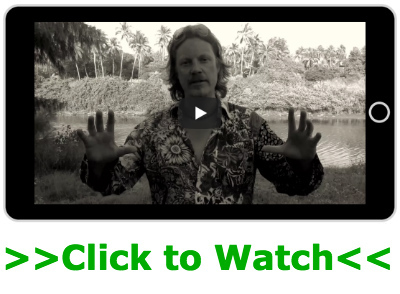 This audio is really for anyone who wants to learn a few simple ways to increase their ability to visualize. So if this is of interest to you I hope you enjoy it. 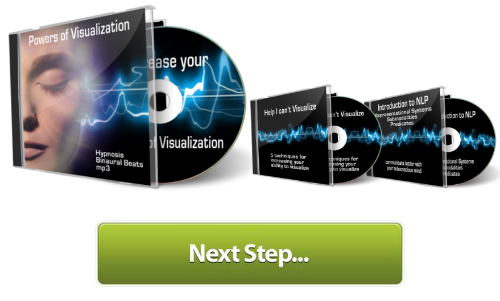 Hi John, I am really looking forward to listening to your audio because visualization has always presented a problem like hundreds of other people. It does seem to be an issue for lots of people, not being able to see images… and it was for me years ago. These 5 techniques are very simple things that you can do that will increase the visual imagery in your mind. They take a little bit of effort, but then again so does everything. Hi John…. so so thankful for your visualization video.. because i am facing th same problem for almost 8 months n i keep trying it bt somehow i cant visualize…bt nw i am really lookin forward to this audio program n i wil definately let u know..
i hv downloaded audiobook ‘The science of getting rich’ , it is supereb!! Thank u very very much…keep up the good work!! I listened to your techniques for visualization and will continue to listen to it. I’m not able to see shapes or colors or anything else, for that matter. I like the idea of your open-shut eye exercises. I put up on the wall a photo of a particular item a couple of weeks ago that I am wanting and look at that a lot and will have to try the open-shut eye exercise with it. It’s kind of funny. Because I am so concerned with being unable to visualize, I’ve listened to (and read) quite a few things that is supposed to help one visualize and every one of them uses visualization to help one visualize. They all assume you can see stuff when one’s eyes are closed. All I see is blackness. The only plus is, if I can relax enough (which I’m not able to very often), some tiny colored image (I can hardly tell what it is) will randomly appear and fade away. I have no control over what I “see” and what it does. I’m totally baffled about that. I have the same trouble with my dreams—no control over what comes up nor any control after it comes up. A real conundrum. Still, you exercises are the best of the lot that I’ve come across so far. Thanks again. The open shut eye exercise is a great one to start with because, when you close your eyes after looking at something you are left with what’s called an ‘afterimage’ and this is a mental image. So the more that you become able to remember/imagine this image when you are not looking at it (eyes closed) the more you are training your mind to see images. You might also like a technique called Image Streaming, created by Dr Win Wenger: http://www.winwenger.com/imstream.htm This technique involves closing your eyes and describing images (even if they are just tiny coloured shapes) that come to mind. It is also very effective. I’m glad you have found the techniques useful. I have some more work on this aspect of actually being able to visualize I will be releasing soon. John, you are truly a beautiful person, to share so freely of your work. I just downloaded your audio and look forward to listening. Thank you so much! Thank you Jerri, it makes it all worthwhile to me, to know that people are enjoying and benefiting from my work. Thanks. Even though being able to visualize comes easily for me, I went ahead and listened to your audio. I have to admit that I love your delivery and your voice. The single word post it idea is so expansive. It is te the ticket to get into acceptance of having, while automatically releasing the feeling of satisfaction. With the geometric shapes being moved into 3D Is refreshing. It’s a hoot of a good time to play with them, bouncing and rotating. What a treasure to place what is distasteful into a ball and just bounce it out of existence. I do like creating techniques (the rainbow) that can be done while going about your day, it makes practicing easy. Its great to know that you enjoyed them and that you find them fun. Just re-listened to this… lovely as always. Thank you John.